Say goodbye to cleaning gutters with LeafGuard. "The gutters appear to be solidly mounted. I have also had a..."
Free Cost Estimates for All Gutter Work! 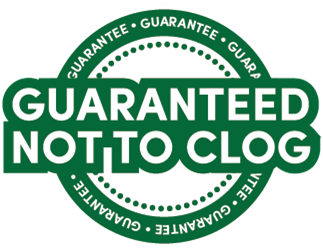 With a strong commitment to quality products, installation and customer service, LeafGuard Gutters of St. 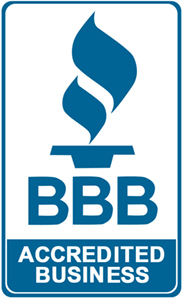 Cloud has become one of Minnesota’s most trusted gutter companies. We are the area’s authorized installer of LeafGuard® seamless gutters, and we provide our quality gutter services to homeowners in Saint Cloud and throughout Greater Saint Cloud. If you’re interested in replacing your old, damaged gutters or you’re looking to install seamless gutters on a new home, we can help. Call us at 1-320-363-7531 or click below to request a no-obligation consultation and free estimate for gutter installation or replacement. There are many options to choose from when searching for a leaf protection solution for your home. So why do more Minnesota homeowners prefer LeafGuard gutters? It could be their unique one-piece, seamless design that will never clog, rust or leak. It could be the No-Clog Guarantee or Limited Lifetime Warranty. It could be that they are the only gutter brand to carry Good Housekeeping's Seal of Approval. But most of all, it's because they work. LeafGuard gutters capture water while keeping leaves and other debris out. When you choose a new gutter system from LeafGuard Gutters of St. Cloud, you are choosing to have a top-of-the-line seamless aluminum gutter system professionally installed by certified gutter installation experts. Contact us today for your no-obligation consultation in Duluth, Saint Cloud, Moorhead or nearby. Need new gutters? Learn about our hassle-free financing options for gutter replacements and new gutter installations. Take advantage of our current offers to save on a new gutter system from LeafGuard.